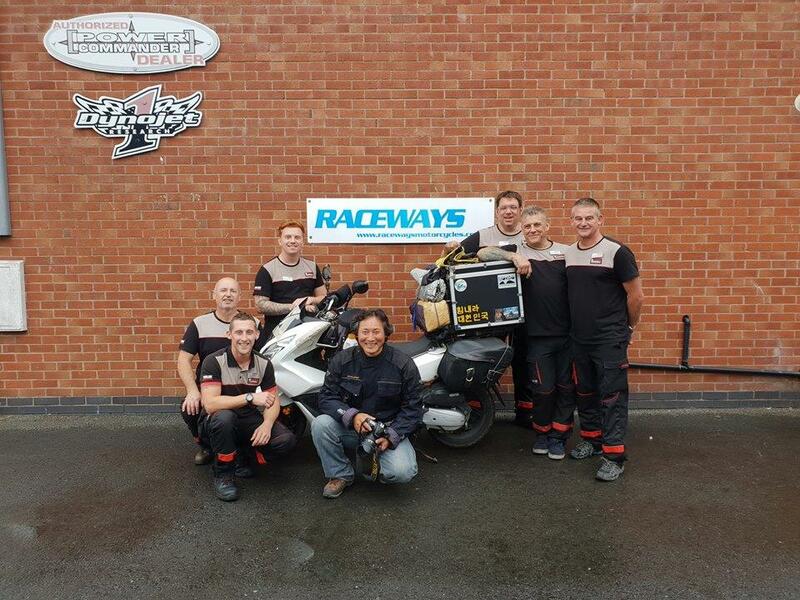 Raceways Motorcycles, in Fleetwood, Lancashire have played a heroic part in getting Korean round-the-world traveller Yung Ro Go back on the road. Yung, 43, has been travelling through the UK and had stopped off in the dealer for an oil change during his visit to the area. However, after exiting his hotel the next day, Yung descovered his Honda PCX125 had been stolen and torched. Service manager Lee Hindle vowed to help and, after a crowdfunding page was set up, £3000 was raised – enough for Yung to purchase a new machine. "I’m just happy to have helped," said Hindle. Yung’s original machine was eventually found in Collyhurst, Manchester, however had sadly been burnt out and abandoned.